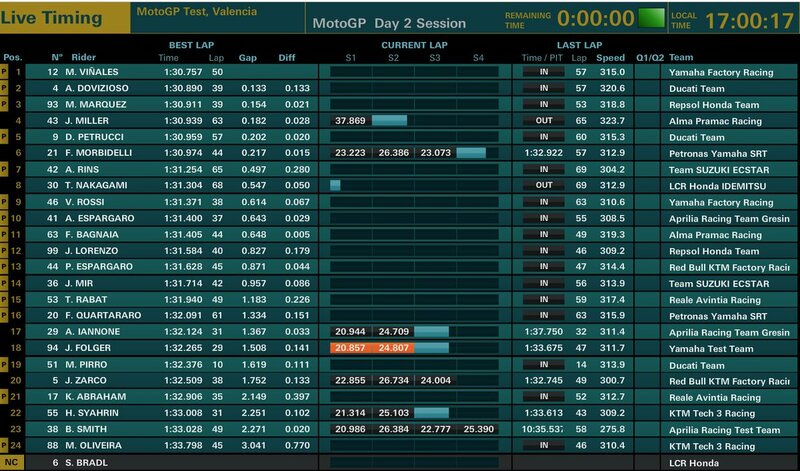 Interesting 99 is 1.5 off the pace of the Yam. I wonder if it will take him a season and a half to get to grips with the honda. Marquez among a few others have a knack for riding round problems, i'm not sure jorge has that ability, once his heads down he tends to wander around the bottom half of the field. With imitation being a form of flattery I approve this thread. That being said I did expect upto date information. 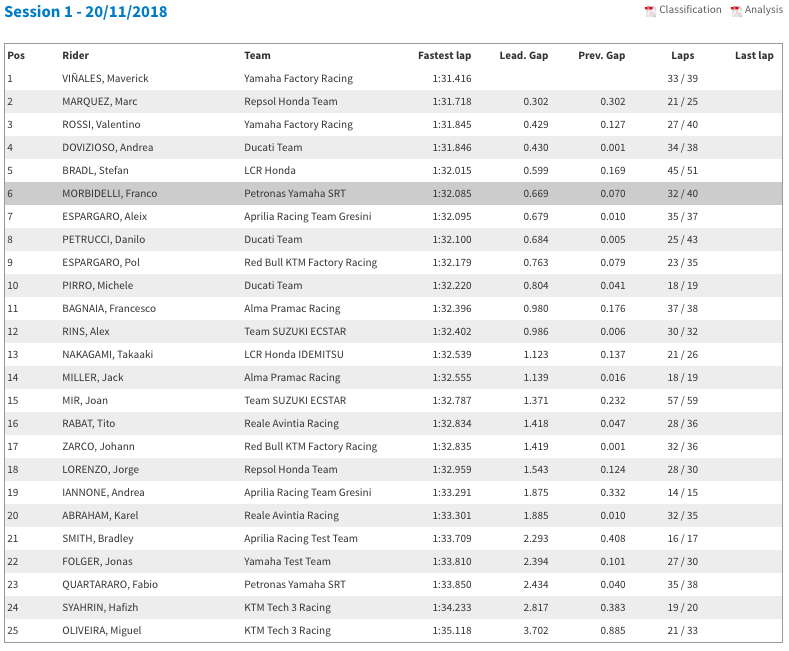 Final test times from Valencia. Loz was riding with broken bones....sure MM had a sore/weak shoulder... just pointing it out. 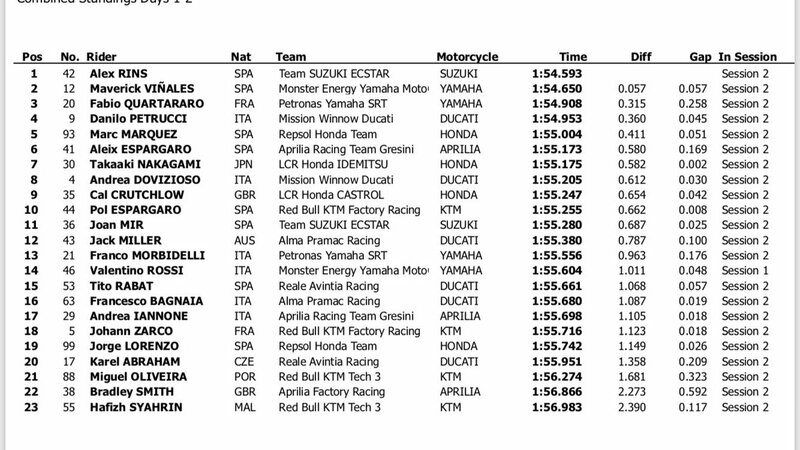 My eyebrows raised slightly at how well Miller and Petrucci did and how VR didn't improve much but Vin did and Morbi. 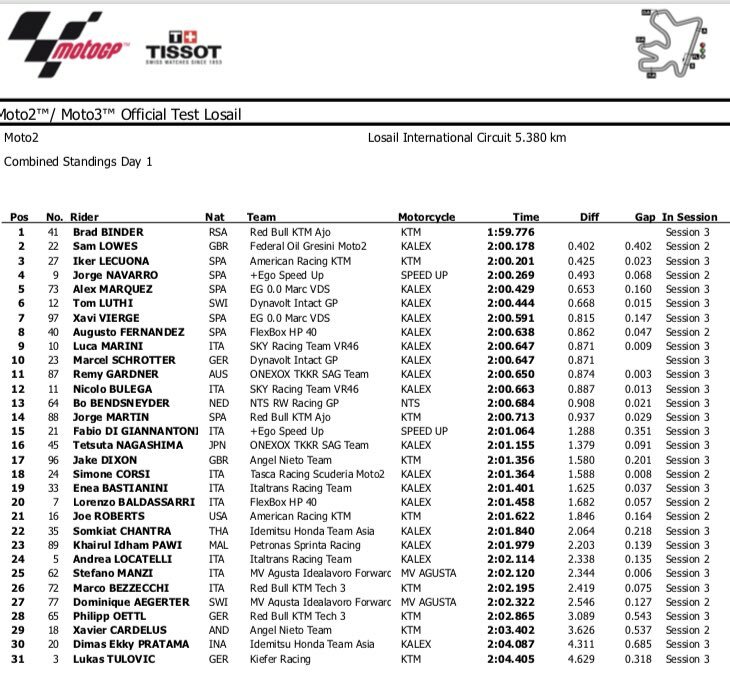 Then again it was Vin who blew everyone away in his first 2 MotoGP tests...won the first race and then went off the boil until errr last weekend. Give your opinions once extrapolated ...we've got nothing to do until next spring. Final day for the Triumphs. Combined times over the 3 days. 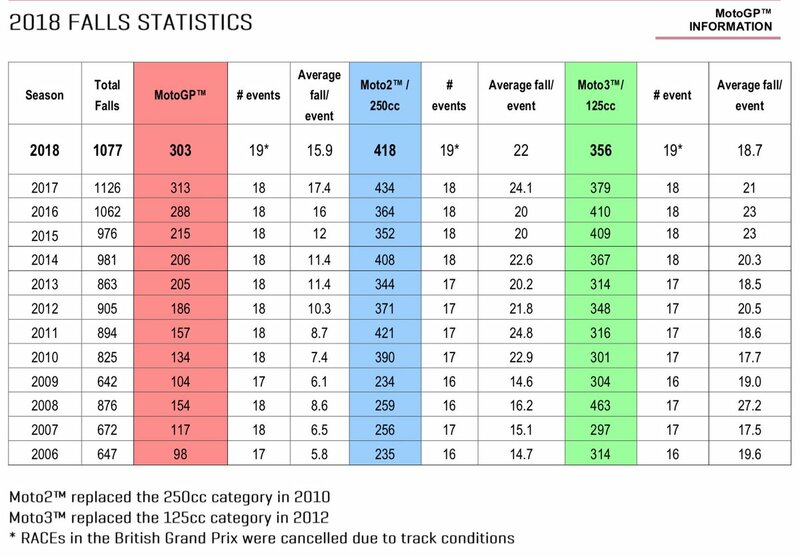 215 falls in MotoGP 2015 and up to 288 in 2016. 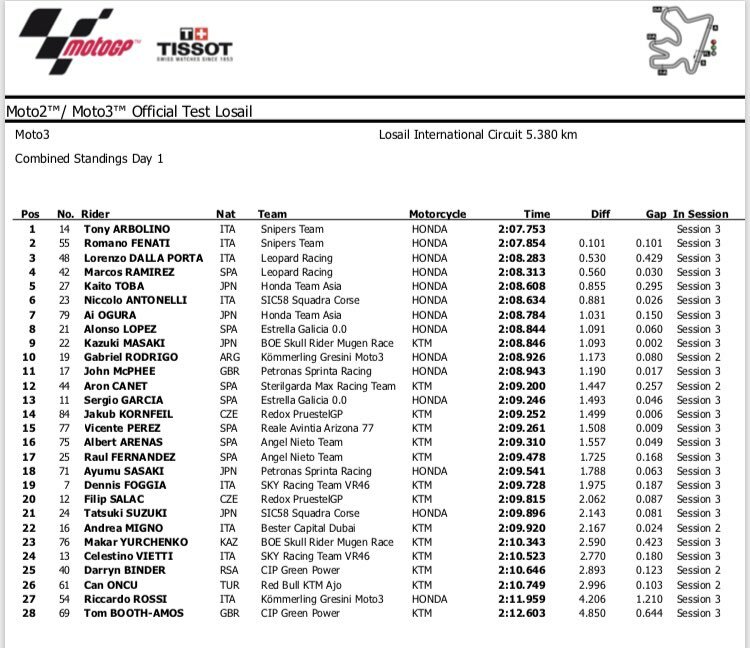 Ianone had to leave testing in Sepang earlier than expected. He suffered from a lack of energy after receiving plastic surgery during the winter. Smith stepped in to finish the sessions. He had his jaw fixed..? Yes, but was there a problem with his chin....errr Nope. 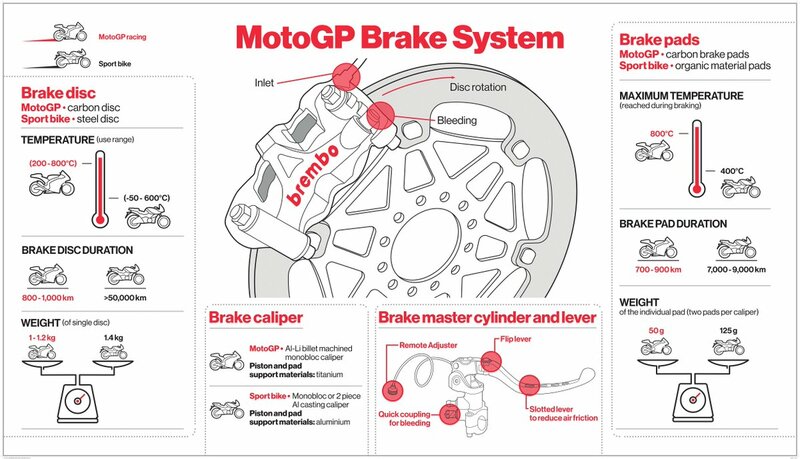 Word is within 5mins Bradley Smith was riding the RS-GP down pitlane. Gossip time is nearly over. Lorenzo still has hurty wrist. Markymark playing games already or genuinely not comfy? 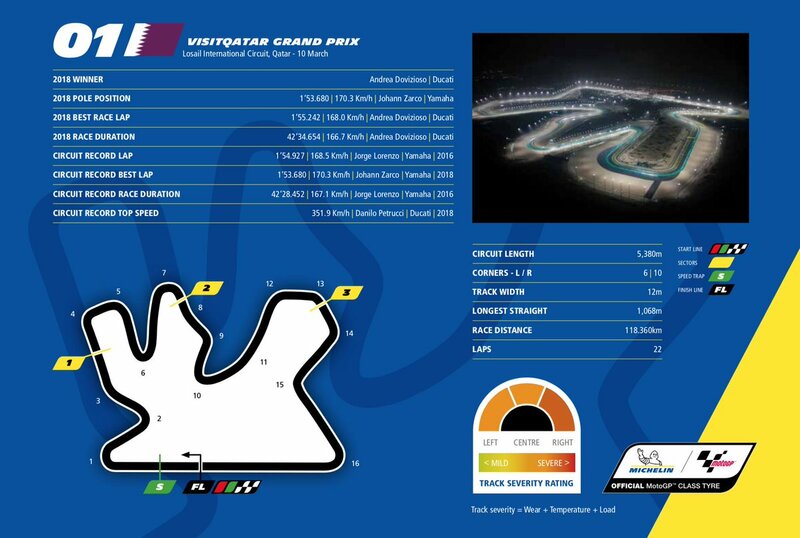 ^^^Can't find an answer for that, nor why Rossi hasn't improved. 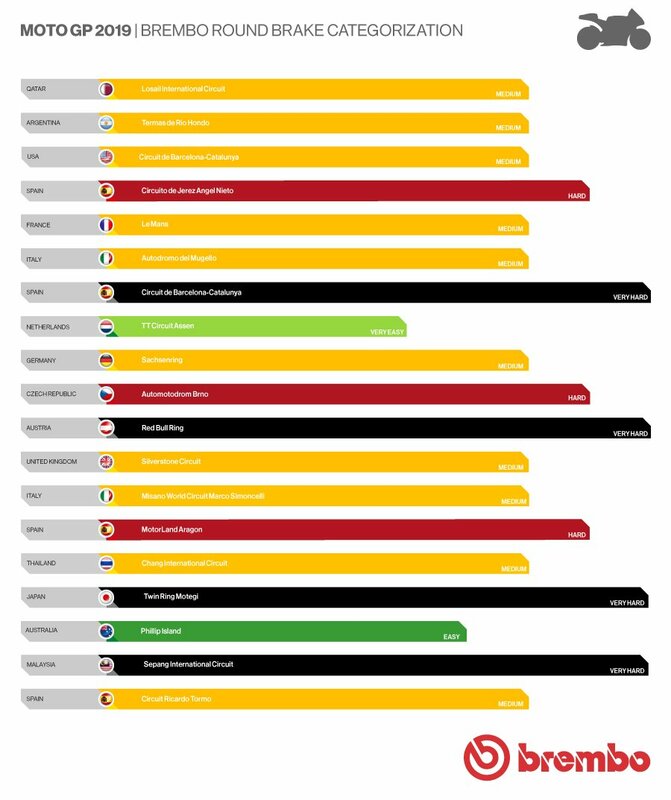 I can't quote history (because I can't be bothered to check my facts) but I feel like most of the rookies tend to show their hands and aren't afraid of it whereas the more tenured dinosaurs might tickle a sector or two but not show a full lap potential until the red lights go out on raceday. You're reet. Lest we forget Maverick when he joined the top class with the fastest practise laps then went down the placings as the season wore on. 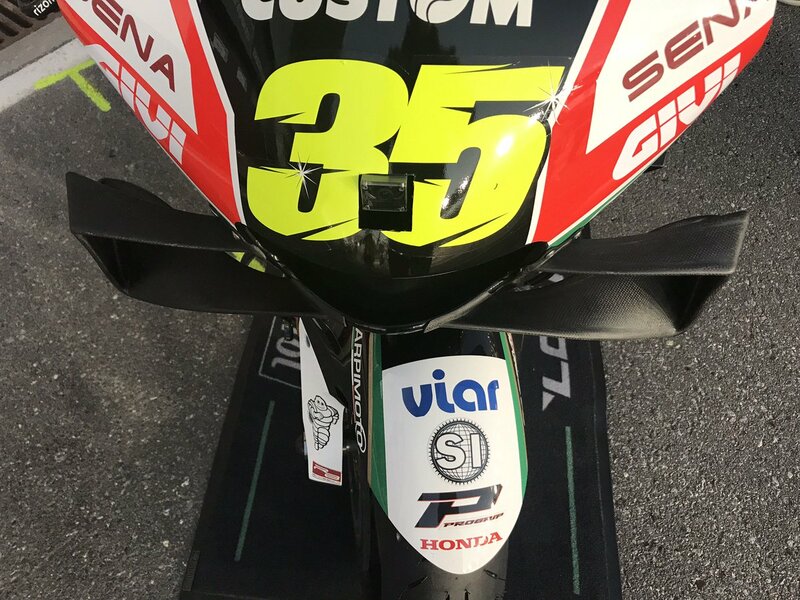 I heard that Fenati has a moto3 ride for this year...with the same team who said his previous act was "unforgivable". Just now in Qatar. 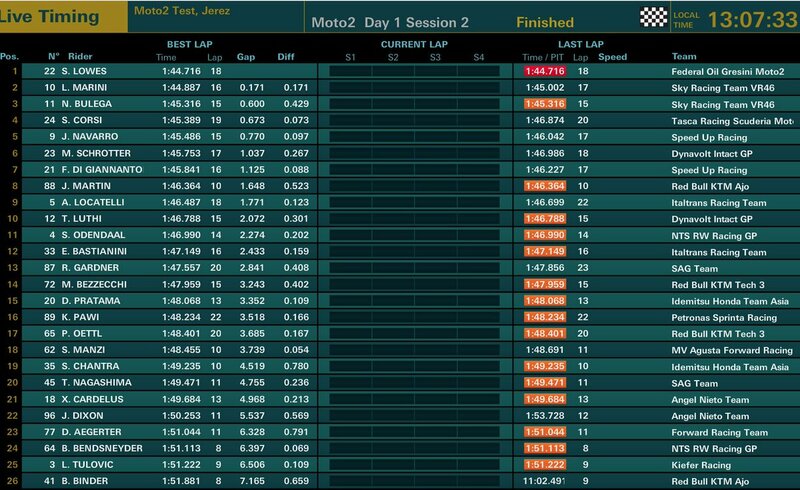 Marquez fastest. 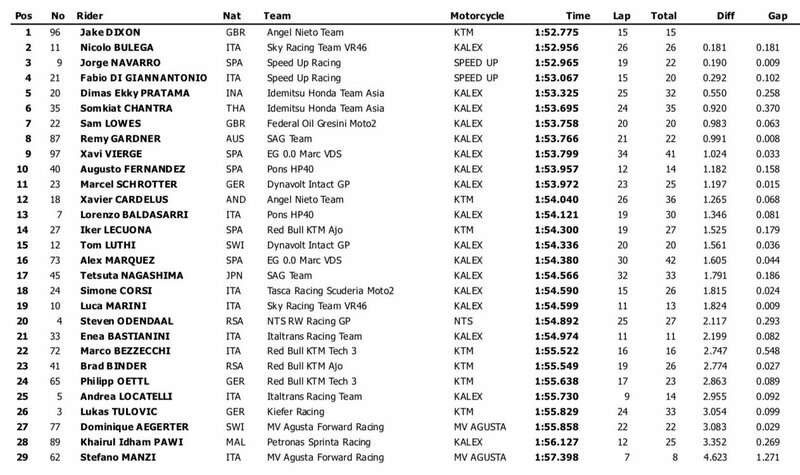 Crashes for Smith, Zarco, Crutchlow, Rins & Nakagami. All unhurt. What's up with the CIP bikes? 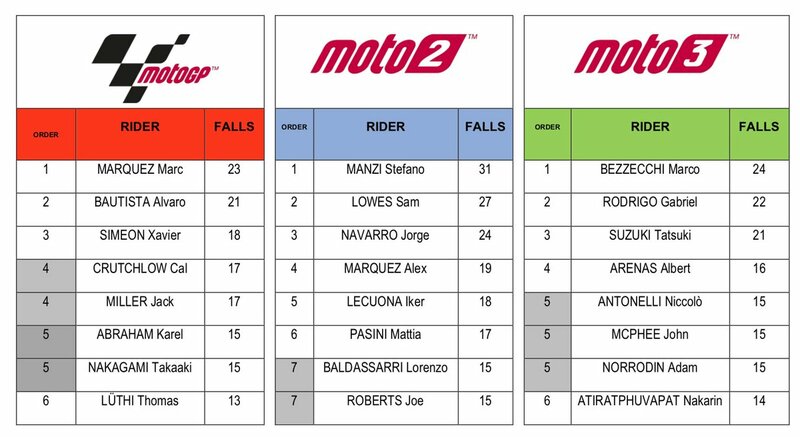 Appreciated, Amos is a rookie, but to see the do-or-die Darryn Binder so far down is concerning. QuestTV will show free-to-air next-day MotoGP highlights in the U.K. in 2019. I've not tried this for myself, but apparently you can catch the racing live on sonyliv.com if you set your browser to browsing from India with a VPN add-on.